With today’s busy lifestyle, trying to fit in work, sport, family and a social life, it comes as no surprise that our feet, legs and lower back sometimes get painful with daily activity. Often these aches and pains are dismissed as being “normal”. This is not necessarily the case as many of these aches and pains can be caused by poor footwear, poor foot posture and poor general posture. Here at Bodywise Osteopathy, our senior osteopath, Anthony Collins senior podiatrist Ben Stasiak work to treat many problems caused by this. 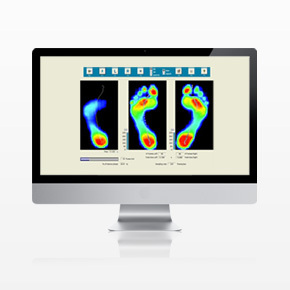 If you suffer one or more of the conditions mentioned above, chances are that you have a problem with the alignment (biomechanics) in either your feet, legs or even your back. Osteopathic treatment concerns itself with realigning the structure of the body to improve its function, however if there is a mechanical alignment-problem in your feet or legs, that is causing your problems then your solution may be customised foot insoles; medically known as orthotics.